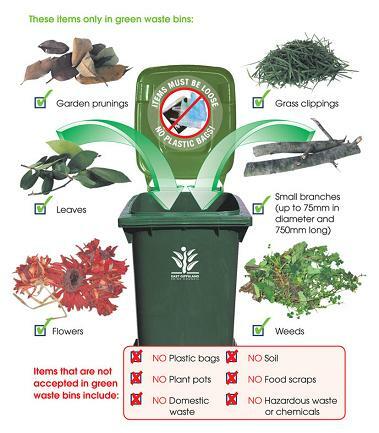 Is your garden full of green waste ? Is your old garden bench ready to fall? With all this greenwaste in your garden, you need to call Rubbish Taxi Removal Services to help you prepare for Spring. Start preparing your garden and remove all the rubbish now. The best way to be eco friendly is to incorporate garden composting. You can also compost kitchen waste. By doing this you can remove up to 30% of household rubbish. But not all of us will be able to do proper composting because of our busy lifestyle. Sometimes, composting can cause problems in the household because it can be difficult to manage, and if not properly done can attract insects and rodents. The best answer to this is to call Rubbish Taxi Removal Services. We understand that not all people have green thumbs and the best way to take care of your garden is have your green waste removal done by professionals. By doing this you save time and avoid all the hassle. Let Rubbish Taxi do all the dirty garden work for you. Harsh winters, cruel fall and heated summers can do a lot of damage to your garden. It is hard to maintain a garden beautiful on your own. In Australia, there are gardens which have been damaged by flood and strong winds. The garden gets the last attention when it comes to tidying up after a storm or a flood. But there is always hope when you seek the help of professionals. You can make your garden beautiful again. You can get rid of all those green waste and tidy it up this Spring or any season for that matter. Spring is the perfect time to have your garden renewed. The grass will grow easily. The flowers are in bloom. The garden rubbish will not look perfect on your garden which means you have to get rid of it. With Rubbish Taxi’s green waste removal Services, we only offer firm and transparent pricing. We take out any form of rubbish from your homes, warehouses, offices and even gardens. We can make your garden look beautiful again in no time and for an affordable price only. Although we have the biggest trucks that can load all the rubbish from your garden, we only charge you by the amount of rubbish that we take, not by the capacity of our trucks. You can compare our pricing with other removal services in the area and you will definitely be satisfied with our pricing. We offer the most affordable removal service in the area which at the same time is also the most reliable service you can get. Start preparing your Spring for a better and beautiful garden by tidying it up. With evenings getting longer, there is no better way to start another day with a beautiful garden.